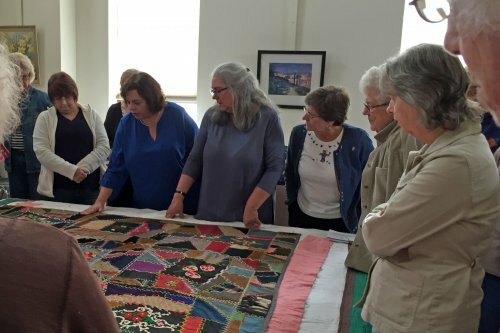 The Quilted Crow would like to say Thank You to Beth Bacher and Michele McLaughlin for the wonderful presentation, and also to those who attended and helped make the Bed Turning a big success! 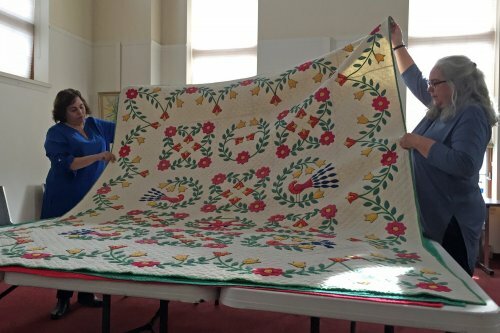 Here are a few pictures from the event, which was entitled "A Harvest of Quilts:"
So what exactly is a "Bed Turning," anyway? Bed Turning demonstrations are showing up lately at quilt shows around the country. 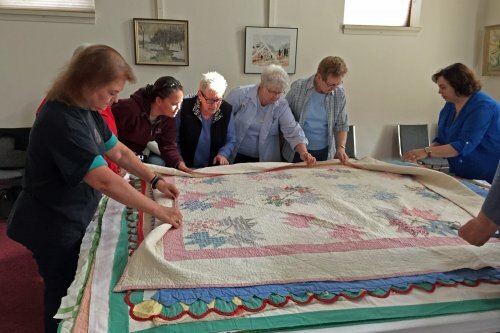 It is a unique way of telling the stories and history of of quilts in a cozy kind of way. Quilts have a long history of not only being used for warmth, but are also considered a form of art. They are a pictoral history of the lives and experiences as told from the Quilter themselves. In the distant past the Quilter would use a Bed Turning as a social event. 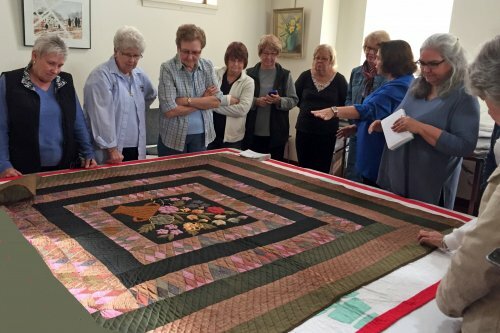 Some tell the story that a lady would invite several guests over and serve sweet tea and cookies, then show off the quilts she had made by layering several of them on a bed. 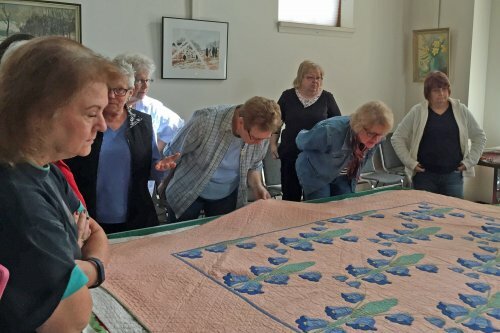 Today, Bed Turnings can be seen at quilting events in themed groupings, or chronologically to appreciative audiences who are intrigued with the stories the quilts can tell.